Theropods include a diverse range of herbivores, not including birds, that until a few years ago were mostly restricted to the therizinosauroids, and then only potentially. 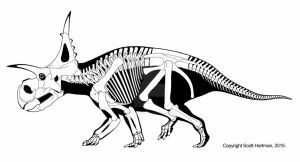 New data suggests a large range of theropods would have been primary or incidental herbivores. Limusaurus... A scaly, beaked, chicken ceratosaur. Very happy to see Limusaurus without feathers. Scaly and funky as suggested by fossilized integumentary bits of its kin. 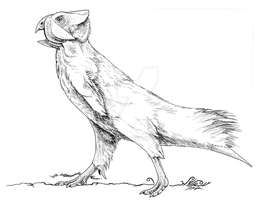 Looking at this, I've just realized that all non-avian theropod species that were likely herbivores looked weird. all them are pretty cute! and all them resemble a lot birds! 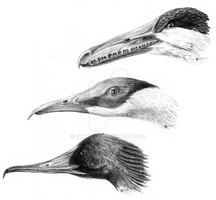 specially Deinocheirus, reminds me pelicans ! 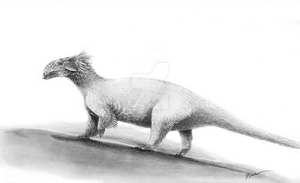 also, that Limusaurus is scaled or it has a weird set of proto-feathers? 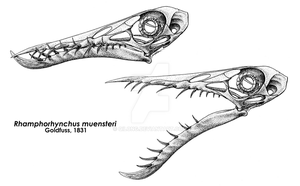 Huh...Deinocheirus' rhamphotheca...only covered the front...of...its...jaws...oh shoot! It's been so long since going on your blog for soft tissues!! Nice overview. I think it's time for a herbivorous dromaeosaurid. Most animals are omnivores, actually, even obligate herbivores will eat meat, bone, living animals. Being associated with fish doesn't make Deinocheirus an actual omnivore alone. The reasoning is found in the link in the post. A study performed on a large range of animals finds that there are features that correlate strongly with hebivory, and these animals show several of them, including: relatively small heads, longish necks, few to little teeth or reduction of teeth from the front of the jaws, etc. That also applies to quite a few modern theropods that are omnivores or carnivores. Ostriches have all those features and are omnivores. This is mentioned in the works that lead in to the study. The inference for herbivory strongly relies on some variables that toothless theropods lack, and that's ... well, teeth. Certain qualities that are strongly associated with herbivory require there to be teeth, and many basal ornithomimosaurs have them, as do oviraptorosaurs, with features of those teeth also suggesting herbivory. When they lose the teeth, it's more likely they become more omnivorous, but there's still an adaptive trend towards herbivory involved. 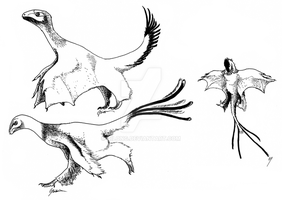 I wonder if future paleontologists would find fossils of predatory birds and declare them to be herbivores. Well that happened due to isotopic analysis, not anatomy. Well, that was the conclusion paleontologists drew from moa. Ate plants generally. I wouldn't be surprised to find it was an omnivore like the cassowary. It's nice work, but what specific species do these heads represent? Deinocheirus mirificus at left, Erlikosaurus andrewsi at top, Struthiomimus altus at top right, Limusaurus inexpectatus at right, Chilesaurus diegosuarezi at bottom right, Caudipteryx zoui and bottom, and Khaan mckennai at bottom left.